To push or poke through. 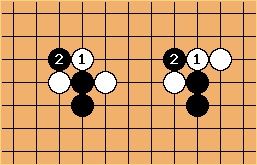 Typically a push through is responded by White, and a cut by Black follows. See push cut. 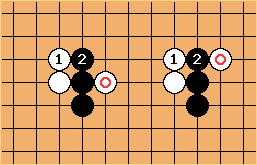 If White tenuki for some reason and Black plays on a subsequent turn, the move is called a tsukinuki ツキヌキ　(penetrate through). White is in bad split shape. 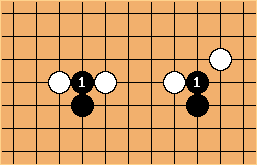 When degiri above is too severe, White may allow tsukinuki by defending one side ( is yurumeru in Japanese). 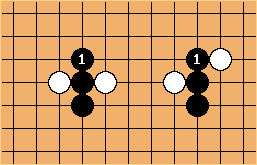 Marked white stones are probably sacrificed.